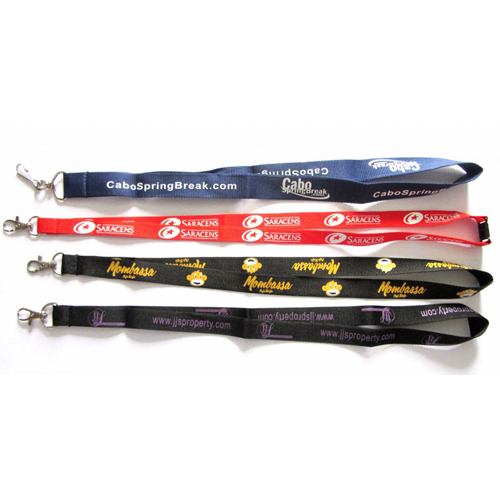 Lanyards are used as a means of identification and branding by many companies. They’re a better alternative to name-tags, which most employees don’t feel comfortable wearing. They’re also very versatile and eye-catching and that can help with your branding efforts. Lanyards are available in different sizes, colours, and materials and at Ezy Lanyards, we have a large collection of lanyards that can suit your needs; here are some tips that help you choose the best fit for you. Budget Friendly – Bootlace printed lanyards are the thinnest you’ll find in the market. Companies that want a more discreet design and look, choose this lanyard. While it is discreet, it’s also visible so you can still showcase your brand through it if you print your brand name or logo on the strap. This lanyard is affordable and made from washable fabric so your employees would find it easy to maintain. Attractive and Sturdy – Faux leather is a very durable material and doesn’t get damaged easily. If you want lanyards that are weather-proof and look great, faux leather is a great choice for you. It’s a little more expensive than other materials out there but the quality makes it well worth the price. Fade Resistant – Faux leather has a tendency to fade and become dull over time. If you want the durability of that material along with resilient looks, you should consider PVC. It might seem like an odd material for a lanyard, but it works well in all kinds of conditions. Bright and Lightweight – Polyester is a great material for lanyards because it’s very durable and will withstand considerable amount of wear and tear. They usually come in bright, vivid colours that immediately catch the eye. They’re good for employees who work in outdoor environments because they’re relatively weather proof and are light weight enough to be comfortable. 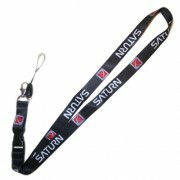 There are other kinds of lanyards available in our store, including nylon, polyester satin, and polyester with PVC strip. All these materials are of good quality so you can’t go wrong when you purchase a product from us. We also have sales experts on staff that would offer you advice on the best material for your needs. You can also ask your employees want kind of material they would prefer.